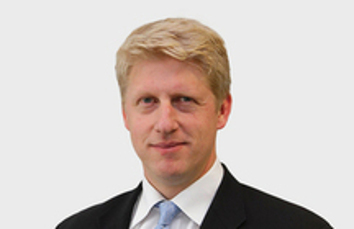 Transport minister Jo Johnson has resigned over Brexit, claiming that the proposed withdrawal agreement ‘will be a terrible mistake’ while no deal would inflict ‘terrible damage’ on the country and its transport links. He has backed the People's Vote movement stating, it was 'imperative that we now go back to the people and check they are content to proceed on this extraordinary basis'. In an article posted online, Mr Johnson, who was also minister for London, argued that that the choice being presented to the British people ‘is no choice at all’. He said the Government was seeking an agreement ‘that will leave our country economically weakened, with no say in the EU rules it must follow and years of uncertainty for business’. Expanding on this claim, Mr Johnson wrote: ‘Certainly, I know from my own work at the Department of Transport the potential chaos that will follow a “no deal” Brexit. It will cause disruption, delay and deep damage to our economy. There are real questions about how we will be able to guarantee access to fresh food and medicine if the crucial Dover-Calais trade route is clogged up. ‘The Government may have to take control of prioritising which lorries and which goods are allowed in and out of the country, an extraordinary and surely unworkable intervention for a government in an advanced capitalist economy. The prospect of Kent becoming the Lorry Park of England is very real in a no deal scenario.